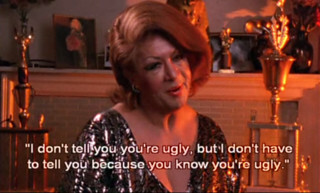 I can’t find a trailer for Paris is Burning, so here’s a taste of the film. Paris is Burning is a documentary that showcases the drag ball scene/culture in New York City in the late 1980s. Drag balls were not just limited to the traditional drag queens, but included all sorts of categories in which one could walk. Much like a runway – one would come to the event to compete in a category and would walk the runway, competing with one another. 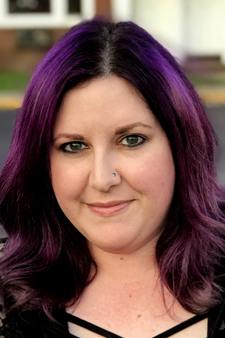 Intertwined with footage from the drag balls are interviews with active members of the ball scene, including leaders as well as up-and-coming “children” in the different houses. Some of the most interesting stories are like that of Venus Xtravaganza, pictured above, who is transgendered, transitioning from male to female. Many of the people in the ball scene had developed their own families within their houses after many of them were disowned by their family for being gay or transgendered. Terms still popular today are defined throughout the movie – you will learn about realness, reading and shade. If you’ve read this blog for more than a minute, you might figure out that I am a big fan of RuPaul’s Drag Race, and am a proud fag hag. Many references will be cleared up for you if you watch Paris is Burning. I got the DVD from Netflix and would recommend watching the movie again with the commentary track, because it’s a lot of fun. 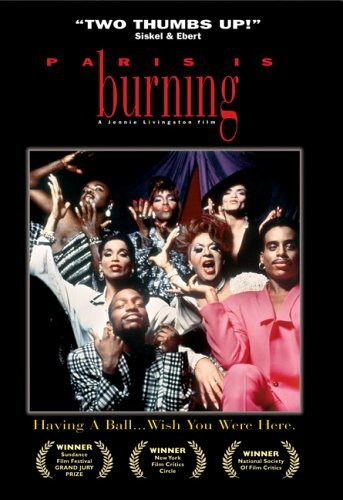 Paris is Burning is available on DVD from Amazon for $26.99.